China's most popular annual New Year's holiday TV program has embarrassed itself with a racist scandal; a gag involving a woman dressed up like an African was jeered for its blatant discrimination. China's annual CCTV Lunar gala, which was shown worldwide on Thursday night and gathered a whopping 800 million viewers, included a comedy sketch in which a Chinese woman put on blackface and a giant fake bottom to portray an elderly African lady – something which immediately caused an uproar on the Internet. 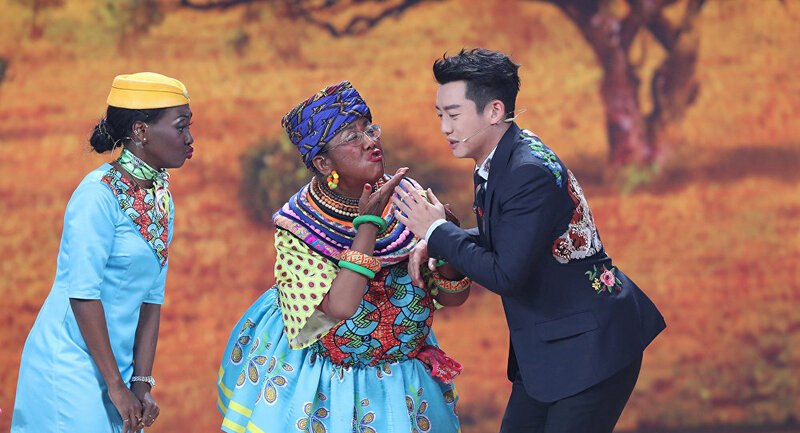 In the skit, which reportedly aimed to celebrate China's warmer relations with the African nations, she was joined by a monkey, apparently played by a black actor. Like the other African performers, such as the dancers who opened the scene, he won a lot of compassion from netizens, who said that those aboriginal Africans, speaking not a word of Chinese, had been stung by the show. — Aggressive Asian (@JennLi123) 16 февраля 2018 г. — Donald B Kipkorir (@DonaldBKipkorir) 16 февраля 2018 г. It opened with a performance by a number of black women, who played the role of personnel on the new Chinese-built Kenyan express train, which has won the praise of the African nation. Still, it was the next short verbal exchange that provoked the most condemnation. In it, the host was approached by a young black woman, apparently his stage fiancée, and further introduced to her mother – a Chinese actress with her face painted black, wearing big buttocks from the stage props and a basket of fruit on top of her head. 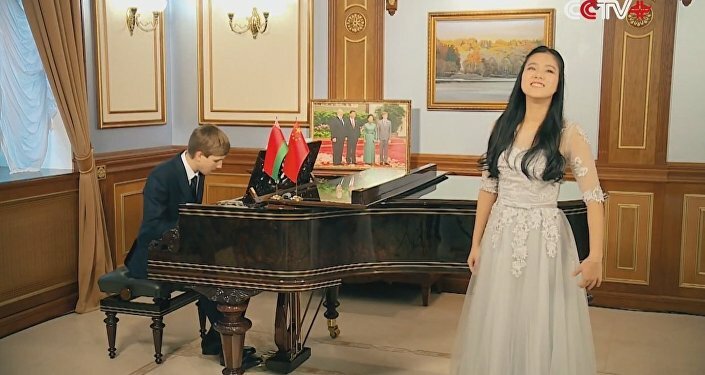 After a bit of a wordplay, she theatrically exclaimed how much she loved China, noting that the world’s second biggest economy had done a lot for Africa. The words further fueled the online debate, with some claiming the portrayal of the mixed nation love story "is disgusting", as Twitter user Maroon wrote. — maroon (@gudsn) 15 февраля 2018 г. — Huizit (@iamHuizit) 16 февраля 2018 г. — Shirley Zhang 張子竹 (@zhangzizhu527) 16 февраля 2018 г. Nevertheless, there are voices in defense of the sketch, calling on the audience to see the irony in it and ignore the drawbacks in the way it was performed. — Sam Corfield (@_samcorfield) 16 февраля 2018 г.
Interestingly, since blackface has been a sensitive subject in Western media for decades, censors have removed a string of articles in the mainland social media writing about the incident. Most notably, blackface was once popular in the United States, particularly in minstrel shows featuring white performers using blackface to depict dark-skinned people. These appeared in the 19th century and remained on television until as recently as the 1970s.